If you can select a ratio, we have it in stock and ready to ship. Prices may vary depending on the gear selected. Optimize your car's drive-train by tuning your gearbox with custom ratio gear sets. Many different ratios available for all Porsche transaxles. Get great starts off the line, and utilize the full top-end speed of your engine, by tailoring your car's powerband to fit your personal driving style or course conditions. All Albins® gears receive the standard anti-fatigue shot peening treatment and are manufactured using their own proprietary grade of steel. 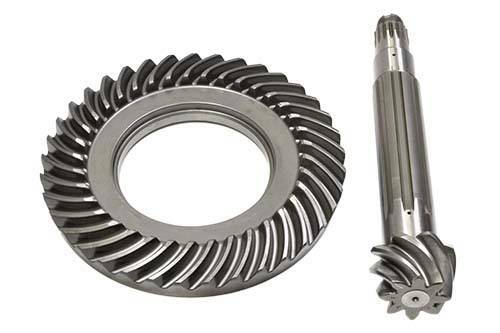 We carry two different manufacturing styles of gears - the original hobbed style, and the new profile ground. Profile grinding is the same process used to manufacture Porsche factory gears and allows for stronger, quieter, and longer lasting gears. Contact us to request a consultation on your specific application. Whatever your circumstance, we'll help you find the gear ratios and ring/pinion combinations that work best for your driving needs.